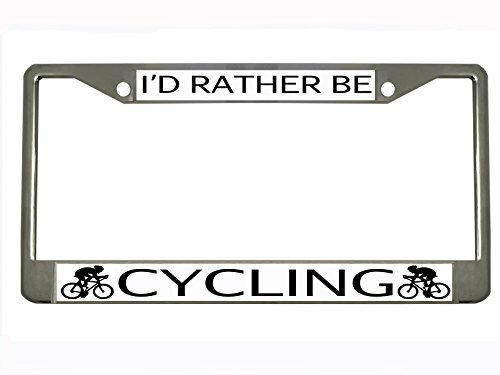 Get everyone's attention with this cool Chrome plated license plate frame made of sturdy heavy metal and personalized with weather/car wash resistant vinyl that is waterproof/UV protected. It won't fade and will last for many many years. It is also a great gift item. It weights about 9oz and measures 12" x 6" the frame is brand new and it's well packaged. The distance between two holes is about 7 inches. The frame fits all standard USA and Canada 12x6 license plates and can be used for the front or the back of a car. If you have any questions about this product by New Custom Auto Tag, contact us by completing and submitting the form below. If you are looking for a specif part number, please include it with your message.